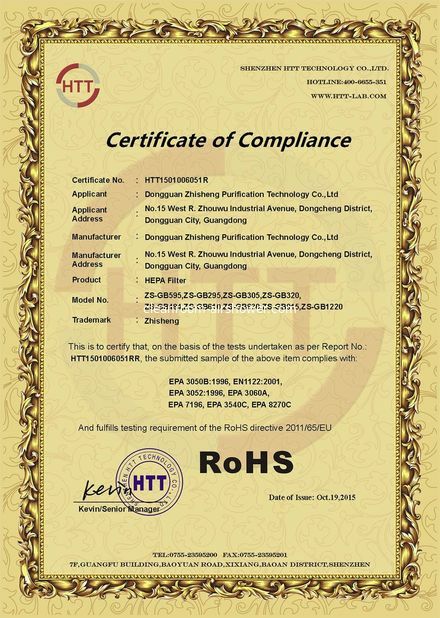 Quality Control - Dongguan Zhisheng Purification Technology Co., Ltd.
Dongguan Zhisheng Purification Technology Co.,Ltd was established in 1997. 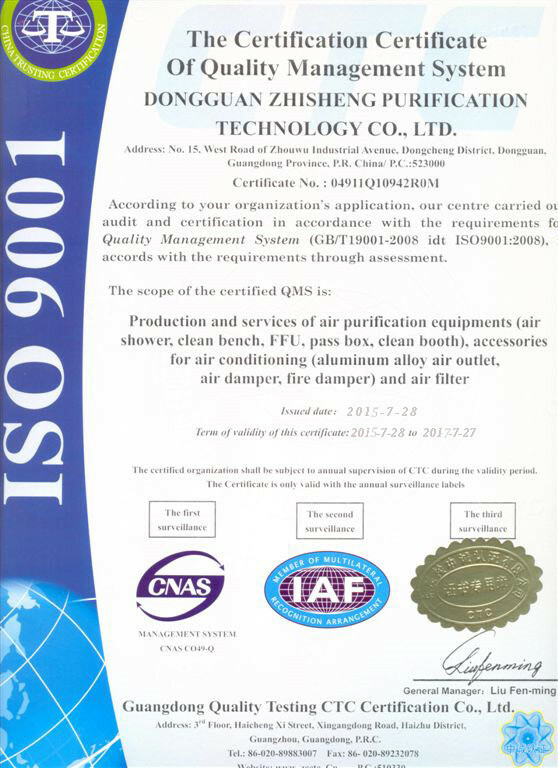 It is more than 18 years history in Air Filter industry as professional supplier which incorporates with industry and trade. 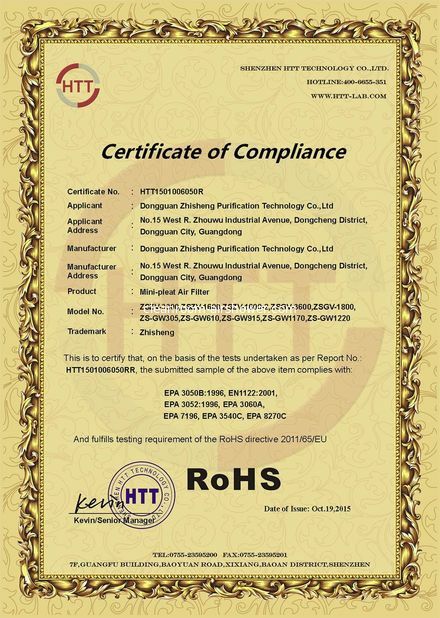 We have CE and RoHS certificates for air shower ,HEPA filters , Mini-pleat air filters . 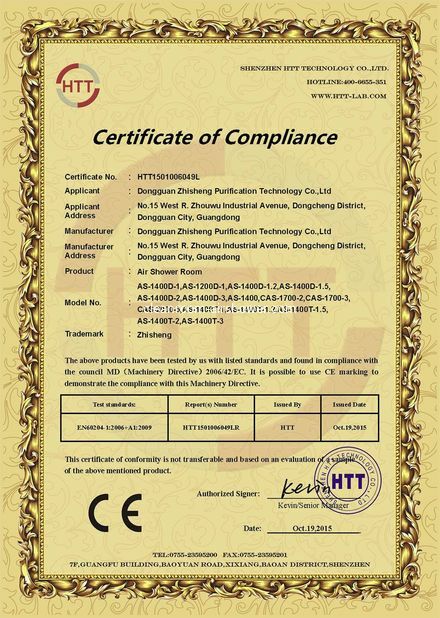 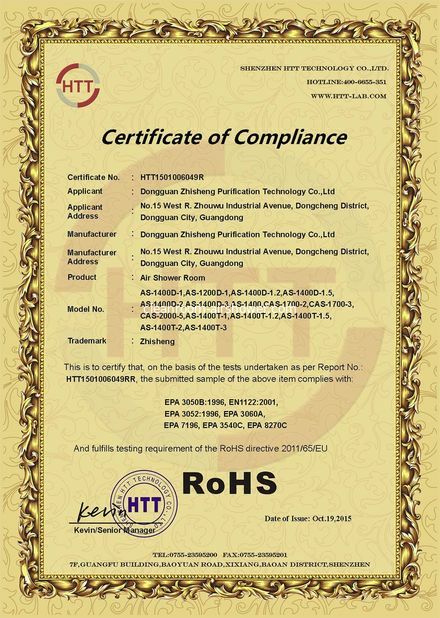 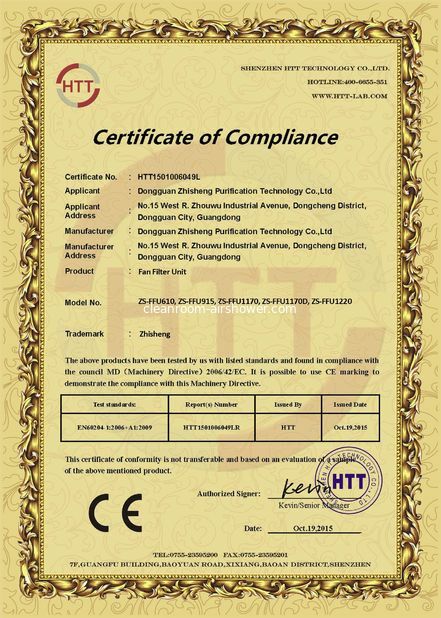 Issued By:SHENZHEN HTT TECHNOLOGY .,LTD.